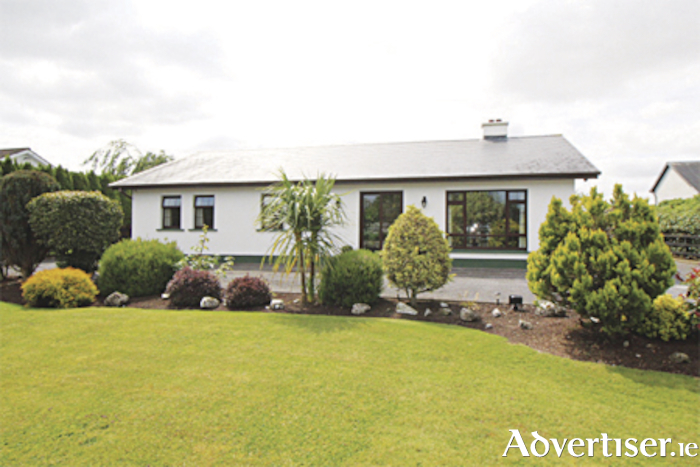 Enjoying one of Athlone’s sought after addresses in the popular neighbourhood of Curramore, Kiltoom, is this superb four-bed detached bungalow, surrounded by beautifully landscaped sun orientated gardens. Located off the Roscommon Road, one of the many reasons this neighbourhood is popular is due to its close proximity to Hodson Bay Hotel & Spa and Athlone Golf Club, an 18-hole parkland course on the shores of Lough Ree, both of which are a short walk away. The town of Athlone is just a short drive away. The property itself is presented in excellent condition throughout, having been well cared for and maintained by its current owners.